The pack should be available in all regions by the end of the day. 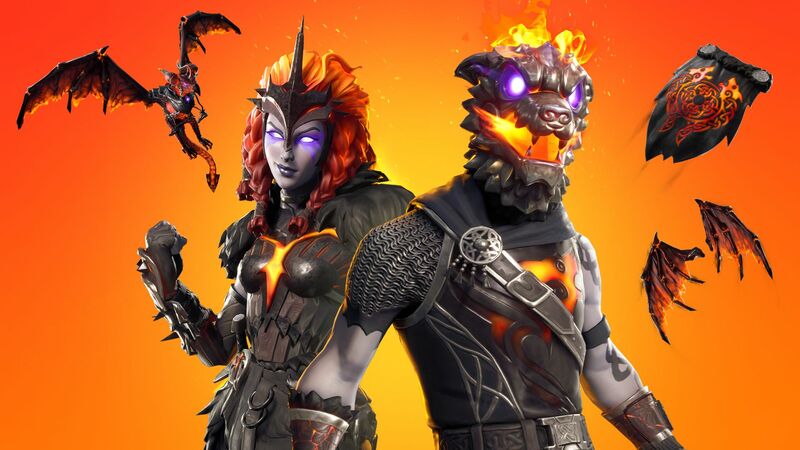 The long-awaited Fortnite Lava Legends Pack has been put on sale this morning after being spotted in the Microsoft Store and the Australian PlayStation Store earlier today. This pack of cosmetic items is expected to be available on all platforms and regions by the end of the day. The Fortnite Lava Legends Pack was released today, March 29. The pack comes with Legendary items Molten Valkyrie and Molten Battle Hound as outfits, Molten Valkyrie Wings and Molten Crested Cape as back blings, and Lavawing as a glider. It’s on sale for $19.99 on both websites, which is probably the same price it’ll have once it’s released in the game’s Item Shop. Related:Fortnite’s v8.20.1 update was released today, and patch notes are coming later, Epic says. Players were already expecting a release of the Lava Legends Pack in this week’s v8.20 update after all cosmetics that were reportedly part of it appeared in leaks from reliable data miners. These leakers were unable to say when the pack’s release date was, but it was reasonable to assume it was this week due to their inclusion in this week’s patch. Special cosmetic packs usually become available first in eastern regions before releasing worldwide. The same happened to the PlayStation Plus-exclusive Carbon Pack, which was released last week first in Australia and New Zealand. Epic Games hasn’t announced that the Lava Legends Pack is available through the Store, but players have already been spotting it in their games.